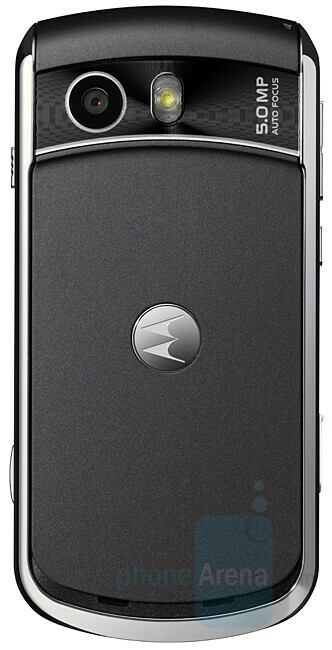 In the cameraphone race, Motorola is still a few years behind the competition, with its first 5MP model (the ZINE ZN5) released just a few months ago. As you can see in our review, the cooperation with KODAK resulted in great camera speed and high image quality during the day. Announced today, the MOTO VE66 is a slider, with 5-megapixel camera, touted for its features and image quality. However, unlike the ZN5, the new model will not have KODAK branding and will use a LED flash instead of a Xenon one. On the other hand, having in mind ZN5’s poor flash performance, it isn’t a real drawback. Although packed into a different form-factor, the VE66 have similar specifications to the ZN5. It also is a quad-band GSM without 3G, but with Wi-Fi. Its display is smaller (2.2” instead of 2.4”) but is also with QVGA resolution and 262k colors. Other features include stereo Bluetooth, microSD slot and FM radio. MOTO VE66 is the first Motorola to offer Widgets, for real time access to web information such as news, weather, social media information and more. The slider doesn’t feature a “hybrid” keypad that changes its characters as the ZN5 or E8, but like the latter has Fast Scroll digital wheel. 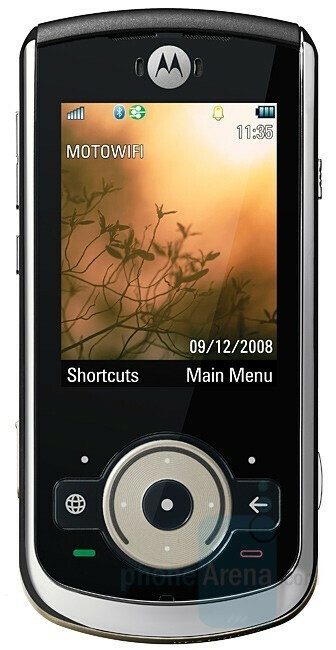 Motorola VE66 is expected to be available before the end of the year. There is no official information if T-Mobile USA will offer it as well. whats up with all the damn pop up! cant even read the article with these things poping up every other second!!! I agree with pop ups and advertisements! Does Phonearena have a money issue? Who really needs that many advertisements? They need to do like Wikipedia and ask for donations to cun back on pop ups! Yeah, still missing the mark MOTO!!! the UI looks so gross! Could be worse, could look like VZW's old software...ugh what were they thinking?! Hm, what carrier to get it? Verizon can have it. AT&T all ready has a winning line up of phones this holiday season. Well, then I guess AT&T will be the one to carry it then. Yeah, I guess T-Mobile could carry this phone too. Why do they say that Motorola is a few years behind in camera-phones? The ZN5 has the fastest camera startup up, autofocus and shot capture time. The VE66 seems to rectify the flaws of the ZN5, having video capture at 30fps and image stabilization too. The VE66 model does not make a huge splash but with incremental improvements it sure packs a punch. It has the best telephone voice quality and the ability to hear and be heard in the noisiest of environments with its enhanced crystal talk and with a second microphone dedicated to noise cancellation. Like the ZN5 the audio quality for music on its MP3 player should be top-notch and it has an FM radio with station and song identification. Hey, lets just wait for the reviews, hope its out before Christmas, I want one.